If the timing needs to be reset on your Singer sewing machine, there is no need to pay for expensive professional services. As long as you have a basic understanding of the machine you will be working with, you should be able to follow the instructions provided in this article to get your machine up and running properly. This article applies to Singer sewing machines in general, but be aware that individual models may vary somewhat in construction, so refer to your machine's owner's manual as needed. Replace your machine's old needle with a new, size 90 sewing machine needle. Also replace or repair any other parts if they are broken or worn out. Refer to the owner's manual for your particular Singer model if you need guidance. Turn the hand wheel in a counterclockwise direction, until the needle has moved as low as it will go, then gently turn the wheel clockwise until it has reached a height of 2.2 millimeters. Turn the hook gears or belt pulleys with your hands to rotate the hook until it is directly behind the point of the needle, then retighten the gears and pulleys. As the location and appearance of these may vary by model, always refer to your owner's manual if you are not sure how to proceed, as you may need to remove parts of the machine in order to view or reach the gears in question. 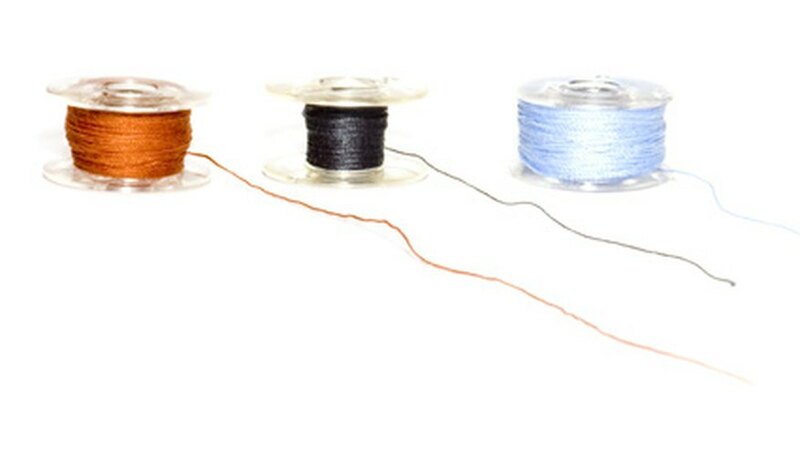 Adjust the stitch-length settings to a long-stitch setting. If you are unsure how to do this on your machine, again consult your owner's manual. Crank the hand wheel counterclockwise to lower the needlepoint to 0.5 millimeters above the needle plate. Use your hands to turn the preloosened gears that would normally feed fabric through the machine. While you are turning the gears, watch the feed closely while it moves, and stop when the feed-dog has been positioned below the needle plate. Once it is in position, retighten the loosened gears and reassemble any parts of the machine you needed to remove to complete the process.